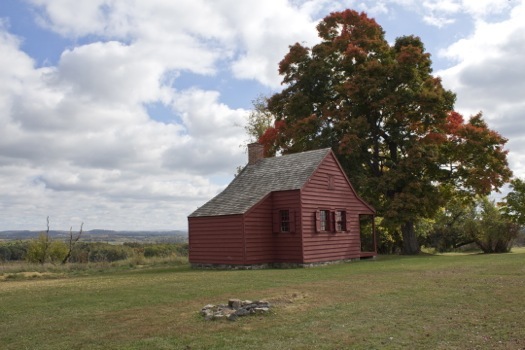 The Saratoga National Historic Park is in Stillwater, about 10 miles southeast of Saratoga Springs. You can access the park from either Route 4 along the Hudson River or from exit 12 (from the south) or exit 14 (from the north) on I-87. 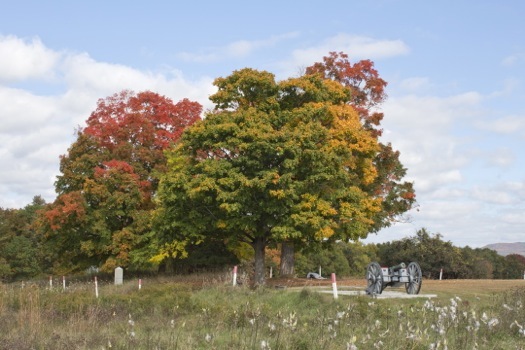 The park includes the site of the Battles of Saratoga, which were part of the Revolutionary War and took place on September 19 and October 7 of 1777. British forces, coming from the north and led by general John Burgoyne, were met by the Northern Department of the Continental Army, commanded by general Horatio Gates. The two battles, the second of which was a decisive victory for the American forces, led to Burgoyne surrendering his army. And the victory is seen as a crucial turning point in the Revolutionary War not only for marking the climax of the Saratoga campaign, but also because it helped secure international recognition and aid for the colonies. 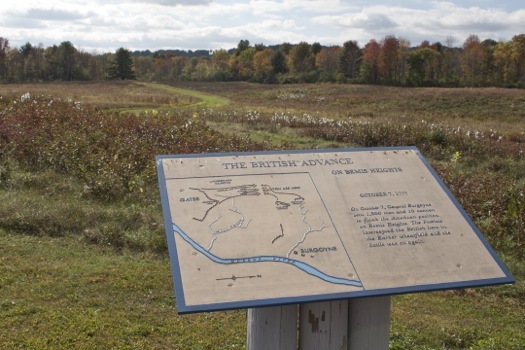 The main attraction at Saratoga National Historical Park is the tour road, which leads all along the major battlefield sites. This 10-mile loop has ten tour stops, each with informational plaques and various sites. The road is a single lane, but it has a divided lane for bikes and pedestrians. I found the entire thing to be very well labeled and easy to understand. At each battlefield, there is signage that lets you know how various forces moved and attacked. 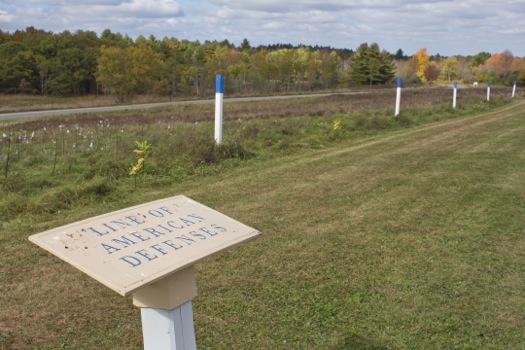 At some spots, there were even posts indicating where troops had fortified lines. Along the path, you'll also find other historical items, like the Neilson House (still 30 percent original), which was used as American headquarters. Each stop along the tour is different, and some have picnic facilities and basic restrooms. Many of the tour stops do require a bit of walking to see the various monuments and battlefields. Even at a leisurely pace, expect to send a couple hours on the tour road. (There's also a suggested abbreviated tour for those in a rush.) Since it's a closed loop, you'll want to plan ahead and bring snacks and water. 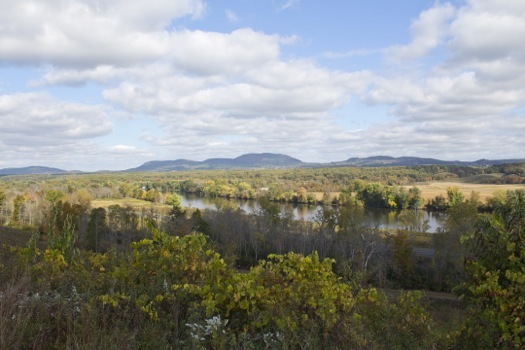 While it seems inappropriate to remark on the beauty of former battlefields, these spots do give an excellent vantage point to the surrounding areas. If you're out looking for foliage, you should go enjoy the fall views now. I thought stop 9 on the loop had some of the best views, with the Hudson River below and mountains in the distance. The path also seems like a good spot for marathon training and biking since it's a divided road and the views provide plenty to take in as you make your way around the loop. In addition to the tour road, Saratoga National Historic Park has a thoughtful visitors center. Inside you'll find a couple informational exhibits and a small gift shop/bookstore. 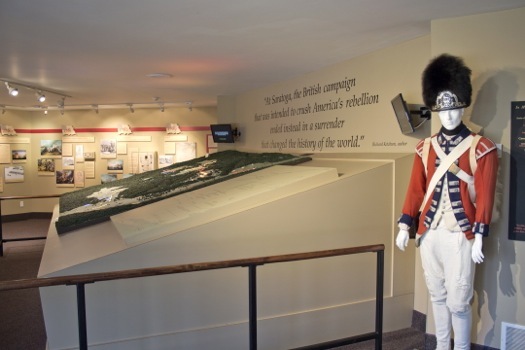 The current exhibits were about the specific Battles of Saratoga, and on Revolutionary War medicine. There are a few children's activities, like dress-up and a tent to play in. The employees on staff were extremely friendly and knowledgeable about the battles. This center seemed to be especially popular with homeschooled children and school groups. 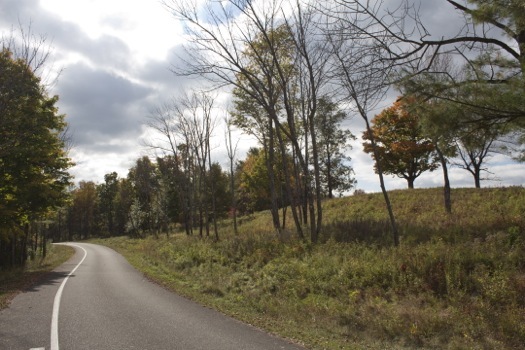 + In addition to the paved tour road, there are miles of paths and recreational trails. Some are open for horseback riding. In the winter, you can also ski or snowshoe on the premises. + The park hosts a variety of events throughout the year for kids and adults, including reenactments, and plein air painting. The visitors' center is free and open daily from 9 am-5 pm, closing only on Thanksgiving, Christmas, and New Year's Day. The tour road is open from April 1 through the first weekend of December, weather permitting. It opens at 9 am -- closing varies depending on the season, but reflects sunset times. It is $5 per vehicle, or $3 per bicycle, motorcycle, or hiker. Annual passes are available.